From routine maintenance like brake service to complex repairs, Honda of Watertown provides Waterbury and Southbury-area drivers with quality auto service. Your local Honda dealer is here to address your concerns and questions, about vehicle maintenance, whether you know your way around an engine or you are new to car-ownership. Whether you own a Honda Accord, CRV, Civic, Pilot or Odyssey, our Honda certified team of onsite auto service and repair experts are here to demystify the question of what goes on under the hood of your car by providing comprehensive and routine maintenance to drivers from Naugatuck, Torrington, and beyond. Express service is a snap for routine maintenance like oil changes, tire rotations and multi-point inspections, and you can save with our rotating service specials. When bigger fixes are needed, our team is ready perform any repairs in a timely fashion. 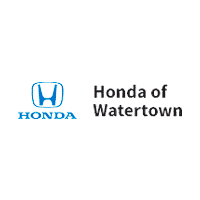 Honda of Watertown is ready to get to work for you–schedule service appointments online, and even set up an account to access previous service visits to easily keep track of your maintenance schedule. If you prefer to speak to one of our experts before your visit, you can always call (860) 606-4469 to schedule your appointment today.